UPDATED TO VERSION 1.2! 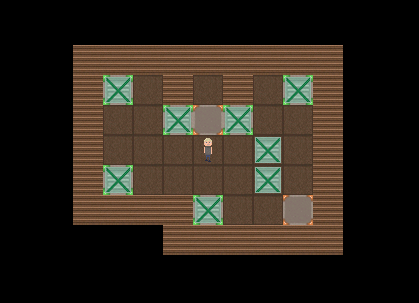 It's a simple clone of sokoban game. Your goal is to move all of the boxes onto special places in order to complete level and call yourself a Lord of Boxes! You can load external levels from text files in *.sok or *.xsb format and, of course, create your own using a simple(but tricky to use) level editor within the game. You can also replace in-game sprites with your own by placing them inside of the game folder (read readme.txt file for more information). Have fun! "A no-frills game of Sokoban, that seems to work as intended." I have uploaded a new version of game.